We’d love your help. Let us know what’s wrong with this preview of The Black Eagle Inn by Christoph Fischer. The Black Eagle Inn is an old established restaurant and part of a family farm business in the sleepy Bavarian countryside outside of Heimkirchen. Childless Anna Stockmann has fought hard to make it her own and keep it running through WWII. The family is divided by rivalry between family members since her own youth but at the heart of this story one of Anna’s nephews, Mark The Black Eagle Inn is an old established restaurant and part of a family farm business in the sleepy Bavarian countryside outside of Heimkirchen. Childless Anna Stockmann has fought hard to make it her own and keep it running through WWII. The family is divided by rivalry between family members since her own youth but at the heart of this story one of Anna’s nephews, Markus, owns her heart and another nephew, Lukas, owns her ear, while her husband Herbert is still missing-in-action. To ask other readers questions about The Black Eagle Inn, please sign up. Does The Black Eagle Inn stand on its own, or must the first two books be read in order to understand and appreciate this book? Asking as I'm considering it for my book club. I was born 25 years after the end of the war. Our history lessons at school ended with the year 1945. One of the most urgent and important questions remained unanswered for me: How did a country with so much shame and horror in its past recover and move forward? How could it? I don’t think anything can ever make up for what has happened and nobody can forgive or atone for the collective guilt. But can the new generation ever deservedly rid itself of the stigma the previous generation has brought to the country? Only ten years after the end of the war a wave of Italian and Turkish Immigrants filled the hole in the German employment market, ten years after that a new right wing party formed in Germany. The Sixties brought the Bader Meinhoff Complex, student revolts and family conflicts. Many of the young adults were disillusioned with politics and turned violent. It took a new generation of politicians to instigate a modernisation of German society. This is a story of a Bavarian family that, for the most part of their lives, lived in or around "a huge farm with an equally impressive and renowned restaurant and inn, called The Black Eagle Inn, just outside the city limits of Heimkirchen, a sleepy Bavarian town." The back story starts at the beginning of the century, even before the Great War. Anna Stockmann, nee Hinterberger, one of the central figures in this novel, grows up to be a very unusual girl--she has a firm grasp of business and a M This is a story of a Bavarian family that, for the most part of their lives, lived in or around "a huge farm with an equally impressive and renowned restaurant and inn, called The Black Eagle Inn, just outside the city limits of Heimkirchen, a sleepy Bavarian town." The back story starts at the beginning of the century, even before the Great War. Anna Stockmann, nee Hinterberger, one of the central figures in this novel, grows up to be a very unusual girl--she has a firm grasp of business and a Machiavellian mind, that allows her to outmaneuver her siblings, even her older brother, when the time came to inherit. To my mind, her story is one of the most interest in seeing how people change through their lives. I would even go so far as to say that her life is an allegory of the old Germany, it mirrors it so closely. While Anna has ho children of her own, some of her siblings procreate prodigiously, and from those offspring, a new generation of the family, who will play an important role in bringing this story to a conclusion, appears. Just naming all of the characters would take much of the place for which this review allows. Suffice it to say, this book is a family epic. And when I say "epic," I really mean it. We tend to think of kings and queens, noblemen and their flock, as required to create that "epic" feel to the story. What Christoph Fischer has done is truly remarkable: he took a regular German family and gave us a book with enough plotting, machinations, politics, and intrigue to rival any of the books that concern royalty and then some. Betrayals and ambitions, loyalties and self interests are all mixed together in a constantly changing scene of the narrative without letting go. However, and as "Howevers" go, this is a big one: This is a book about Germany and her people. While I see Anna as an allegory for the country, her family is the representation of the German people: they can be industrious, which goes without saying; selfish and selfless, self absorbed and carrying, pious and liberal, absorbed in politics and neutral, scheming and naïve. As generations change in the family, we can also trace the changes in the German people. The later parts that of the book that describe Maria's (Anna's niece) marriage and its consequences and Marcus's (Anna's nephew) finally starting to accept himself as a homosexual really underline the changes that the after-war Germany went through and the struggles the country had to face before becoming the modern Germany we know today. What makes this book unique, is the time period in which the book is set. Most historical novels deal with the "juicier" timelines that involve wars and upheavals, unrest and suffering. While this novel has that as well, of main interest are the other parts that concern the pre- and post-war Germany, and its gradual, grudging transformation through the generations of people who lived through it and built that country. Set in Germany, this exquisite story follows the life of the Hinterberger family from the onset of the Great War through to the late 1970's. It is not so much a Historical novel as it is a tale of love, betrayal and ultimate redemption. Even though there is very little action, the author cleverly pulls you into to the story with relateable characters and intriguing plot maps. Anna Stockmann owns the Black Eagle Inn along with her husband, Herbert. While he is away fighting in the 1940's war, she Set in Germany, this exquisite story follows the life of the Hinterberger family from the onset of the Great War through to the late 1970's. It is not so much a Historical novel as it is a tale of love, betrayal and ultimate redemption. Even though there is very little action, the author cleverly pulls you into to the story with relateable characters and intriguing plot maps. Anna Stockmann owns the Black Eagle Inn along with her husband, Herbert. While he is away fighting in the 1940's war, she runs the business and farm, which soon becomes the source of contention as her nieces and nephews along with her adopted son, vie to be the next successor to take Anna's place and inherit the family fortune. Then her husband returns from war a changed man! This book is well written and cleverly unveils a side of German history we are not aware of. You do not need to be a history buff or even like Historical fiction to enjoy this book. There is something in it for everybody and this books guarantees to have you wonder what happens next. I can not wait to read the rest of the books in this series! In this last book of the trilogy, we are given a micro view of what it means to live in a nation decimated by a war waged and lost against the rest of the world. The Hinterberger's are a proud family living in Heimkirchen, Germany, farming land that has been in the family for a while and running the local inn, The Black Eagle. All the problems that can beset a country in turmoil are seen in this family. Desperate to own the family properties, Anna drives her brother off. When her father dies, An In this last book of the trilogy, we are given a micro view of what it means to live in a nation decimated by a war waged and lost against the rest of the world. The Hinterberger's are a proud family living in Heimkirchen, Germany, farming land that has been in the family for a while and running the local inn, The Black Eagle. All the problems that can beset a country in turmoil are seen in this family. Desperate to own the family properties, Anna drives her brother off. When her father dies, Anna inherits everything and becomes the family matriarch. With her husband off at war, Anna runs everything to suit herself. Unable to have children of her own, she takes in young family members and raises them. She has taken in the propaganda and is a strict xenophobic. She refuses to hire anyone not from her own part of Germany. Religious differences cause strife within the extended family. Relative is pitted against relative in the belief that one or the other will inherit this or that portion of the Hinterberger properties. Underhanded dealings provide luxury items for the restaurant at a time when they could not otherwise be afforded, and the family prospers. Much like the country at large, the various members of the family are doing what they must to survive and ensure they receive what they believe they are due for their efforts. Underhanded dealings, trickery, poison, creating false documents are all part and parcel of trying to rebuild and survive in the aftermath of a war that leaves many Germans ashamed. The struggles of trying to survive in a country attempting to rebuild itself and regain respectability as the horrors of its leaders is made public is both heartrending and poignant. Families are torn apart and brought back together. Once again, Fischer has brought to life a world that most of us today weren't alive to witness, and done so eloquently. His characters come to live in a way that draws you into the story. You have to feel for them; he leaves you no choice. Whether those feelings are sadness, disgust, compassion, you must feel. From a quiet farm to a family and country rising from the ashes back into respectability, Fischer handles everything with a deftness I've come to expect from his writing. Having read all of the books in the Three Nations Trilogy, it is obvious Fischer is passionate and extremely knowledgeable about the subjects of which he writes. His characters are well developed as they are in the other books. Although the narrative moves slow and is detailed, I believe this is necessary for the reader to fully understand what the family, and in a broader view, Germany itself, is going through. Luck of the Weissensteiners, Sebastian, and The Black Eagle Inn show us a better view of Germany during this time period than any history book I ever read in school. No history can be complete that ignores the citizens of the country being studied. Fischer has done an excellent job filling in important blanks in my own education, for which I give him thanks. This book, and in fact the entire trilogy are thought-provoking, requiring you to question what you thought you knew and understood. You have to feel something. Can any book be ignored that does that? Every time Christoph Fischer publishes a new book, I lose a night of sleep, happily and willingly. Yes, his books are that good. Impossible to put down. What I love about his writing is his incredible ability to present impeccably researched historical events with a personal perspective, through family stories – and isn’t that the best way to engage the readers and make history real? Especially if the story is well-told. And Christoph Fischer knows how to write amazing stories. I absolutely love Every time Christoph Fischer publishes a new book, I lose a night of sleep, happily and willingly. Yes, his books are that good. Impossible to put down. What I love about his writing is his incredible ability to present impeccably researched historical events with a personal perspective, through family stories – and isn’t that the best way to engage the readers and make history real? Especially if the story is well-told. And Christoph Fischer knows how to write amazing stories. I absolutely loved his first two books, and this one is even better – and I didn’t even think that was possible. The book is about Germany, its history, and its people, but Christoph Fischer’s presentation of that history will hold interest of readers well beyond Germany. Part of my childhood was spent in Russia, and I clearly remember the animosity that the older generation held towards Germany – towards everything German, to the point of refusing to take German classes in schools because nobody wanted to learn “the language of the fascists.” When I was younger, I saw the events of World War II exclusively from the Russian perspective – post-war re-building, re-structuring, recovering, etc. Like many of my peers, I never considered the other point of view – how did Germany recover, not just economically and physically, but philosophically and culturally? How can a country move forward, regain its pride, its sense of identity after so many atrocities and horror that it inflicted upon the world and, of course, upon its neighboring countries. And that’s one of the main issues that Christoph Fischer addresses in his book, and that’s what fascinated me and kept me glued to my Kindle until the very last page of this beautifully written and incredible novel. But, of course, this is not a textbook – even though the research that obviously went into writing it can surpass that of most textbooks – it is a riveting story of a family, of specific people, with their own opinions, ideologies, philosophies and issues, all set against the backdrop of the changing political landscape of wartime and post-war Germany. Christoph Fischer does not shy away from tough issues, so there’s everything in this novel, from religion to politics to homosexuality –all real issues that real people have to tackle. A fascinating new book from a talented author. Absolutely brilliant. Family dynamics are often complex and disagreeable. In THE BLACK EAGLE INN, the Inn and adjacent farm are as much characters in the story as the various members of the Hinterberger family and those who interact with them throughout the book. This is imaginatively achieved by the nice blend of characters that stagnate refusing to grow in spite of life offering them great opportunities to do so as well as characters that grow, either by experience or example. The subtleties and blunt ways of attack Family dynamics are often complex and disagreeable. In THE BLACK EAGLE INN, the Inn and adjacent farm are as much characters in the story as the various members of the Hinterberger family and those who interact with them throughout the book. This is imaginatively achieved by the nice blend of characters that stagnate refusing to grow in spite of life offering them great opportunities to do so as well as characters that grow, either by experience or example. The subtleties and blunt ways of attacking each other as members of a dysfunctional family are clever and easy to visualize. The wide diversity infused in the small town setting through the historical periods is ingeniously woven by allowing some characters to grow through experiences in other cities or countries as well as by the international influence of the `foreign' elements, through visitors to the BLACK EAGLE INN or the flow of immigration through the various changes in Europe before during and after WWII, and well into the Cold War. As the book covers a large time period it addresses historical attitudes to prejudice of all kinds, from the Jews, to women's rights as well as prejudice to Muslims with its strongest note to homophobia. My favorite character was Markus; as a reader he took me in a journey of understanding success and failure. The possibility of redemption when feelings run deep and there is the presence of love and forgiveness. I also found the development of the character's journey trying to accept his truth, while battling the religious beliefs that made his very nature a sin a very believable one. It was very interesting to have a story that combined how society sees homosexuality through various time periods as well as how Markus learns to balance and accept who he is. The third in his series, this is Fischer's most approachable book. Fighting by the family members is the only war that goes on, but it is just as fatal for some of them. Without war the historical aspects of the book are more political and subtle, but I found it fascinating to see how the aftermath of the war played out in a small community such as Heimkirchen and the Hinterberger family. Again, I learned a lot from the book and enjoyed the colorful characters. A great ending to the trilogy. I look forward to more from this author. Wow what a harrowing and as far as i can tell accurate telling of what life back then would have been like post world war 2. This is usually not my cup of tea but i have to say i was enthralled from the moment i started to read this to the time i put it Christoph has certainly got my historical juices going with this book. Christoph Fischer is one of my favorite “Undiscovered writers” who, with the publication of the final book of his Three Nations Trilogy, is certain to become known to a wider audience. He writes detailed historical fiction in an approachable way that places the reader in the period. Before I go on about The Black Eagle Inn, I must again recommend his first two books; The Luck of the Weissensteiners and Sebastian. In The Black Eagle Inn (The Three Nations Trilogy) by Christoph Fischer, the author Christoph Fischer is one of my favorite “Undiscovered writers” who, with the publication of the final book of his Three Nations Trilogy, is certain to become known to a wider audience. He writes detailed historical fiction in an approachable way that places the reader in the period. Before I go on about The Black Eagle Inn, I must again recommend his first two books; The Luck of the Weissensteiners and Sebastian. In The Black Eagle Inn (The Three Nations Trilogy) by Christoph Fischer, the author takes us into a sweeping tale of a Bavarian family during the twentieth century. It is a journey of an unremarkable family as they endure the history, hardships and celebrations that came with life during that period. Fischer has many strengths as a writer but creating characters that come alive within the pages may be his best. After reading his work, I feel I know some of these people better than my own family. I care about them, they occupy my thoughts when the book is no longer in my hands. His ability to weave multiple story lines within a grand plot is remarkable and proof his audience with grow. Very highly recommended – deserving of six stars. Usually I am not a fan of family sagas, but over the last few months I had my attention drawn to Christoph Fischer's 'The Three Nations Trilogy' and had seen a number of very complimentary reviews. So being the perverse individual that I am, I decided to start with the last book in the series, 'The Black Eagle Inn', which is set against the backdrop of twentieth century Germany. Fischer paints a picture of a wounded country, its people dealing with collective shame an "Clinical, Real, Fascinating"
Fischer paints a picture of a wounded country, its people dealing with collective shame and guilt while trying to come to terms with a changing world. Bavaria, where most of the action takes place, is portrayed as a retrograde backwater, where traditions and old prejudices run deep. The Hinterberger family are an obsessive bunch. The matriarch, Anna, is determined to keep control of the family lands and the Black Eagle Inn, at whatever cost to her personal relationships. Her brother, Hans-Ulrich, cannot see beyond the short-sightedness of his own religious bigotry, which drives away and alienates his children. The feuding and squabbling of the Hinterberger clan continues over decades, while their dreams die around them, and the world moves on regardless. They continue to shampoo the family rug while others progressively pull it out from underneath them. There are fascinating vignettes of family power, almost all of which lead to disillusionment and corruption. There is little love in this family, although Maria - the youngest of Hans-Ulrich's daughters - does manage to balance a degree of personal happiness with career success. I enjoyed Christoph Fischer's clinical narrative. His writing has a degree of alienation about it, and he pins his characters mercilessly to the wall like so many butterflies in an unusual collection. It doesn't feel like fiction: it feels like a 'real' family history. In spite of the unattractive personalities of many of the individuals in this book, I found I had to keep reading to see how all the various sub-plots were resolved. Fascinating stuff and well executed. Set up over several generations the reader meets a dysfunctional family against the back drop of WW1 and 2. Dealing with internal politics and manipulation the main protagonists is also involved in hiding from, taking part in and trying to advance in main stream politics of the day with them falling in and out of favor much like they do within their family dynamic. When the man of the house and owner of the inn returns from being a pow he has some new ideas of his role in the family. Having had Set up over several generations the reader meets a dysfunctional family against the back drop of WW1 and 2. When the man of the house and owner of the inn returns from being a pow he has some new ideas of his role in the family. Having had little else in common he and his fellow prisoners get to discussing home. He learns that his wife is manipulating him and that "real men" does not stand for this. Upon returning home he finds the landscape changed and he feels even more inadequate and insecure. He lashes back by becoming a tyrant and for his trouble he gets into situations steered by a united front of family members who does not take kindly to change. This is part of the world building against which the book is set. The story is however character driven and addresses a man who believes he is a genius and is thus better than everybody else. His nephew struggles with admitting and coming to terms with the fact that he is a gay man in a country where it is illegal. Their niece marriages a Muslim, breaking the family's claims to being all Catholic and all Bavarian all in one go. In a world where survival is still primary and thriving secondary 3 generations of a family needs to learn to grow, accept and stop with manipulating others which is now as much part of their make up as their previous belief systems. A detailed descriptive book of hope. This is the third part of Mr. Fischer's trilogy and it is even better than the first two which were both fantastic. This time, he chooses a Catholic family from a small town in Germany. Being so far from any cities, the town was spared the bombing and destruction of the war. But, this family's prejudices and geed shows that there are worse things to consider, Anna has manipulated her way into the position of owner of the family farm and Inn. She alienated her brothers, except the youngest, who w This is the third part of Mr. Fischer's trilogy and it is even better than the first two which were both fantastic. This time, he chooses a Catholic family from a small town in Germany. Being so far from any cities, the town was spared the bombing and destruction of the war. But, this family's prejudices and geed shows that there are worse things to consider, Anna has manipulated her way into the position of owner of the family farm and Inn. She alienated her brothers, except the youngest, who was too weak and went to live in town. Hans became involved heavily with the Church and met his wife there. His dogmatic stand on religion alienates his children. Anna could not have children and used those of her brothers to work the farm. She adopted one of them after his father died and felt he was her Golden boy. She never appreciates the work of the other children and alienates them all. What happens when the "golden Boy' embezzles all the money from the farm and Inn and disappears? Does she realize the error of her ways? Powerful story, characters are well developed and the historical data is well researched. Another great book from this talented author! After reading and thoroughly enjoying the two earlier books in this Three Nations Trilogy (The Luck of the Weissensteiners and Sebastian) I was expecting to be enthralled yet again and I wasn’t disappointed! This book kept me captivated right to the very last page. I was drawn in so cleverly and couldn’t wait to turn the pages. This is a family saga with a difference. It revolves around the restaurant - the Black Eagle Inn and a farm owned by the Hinterberger family and set in Bavaria. There is Anna and her brother Hans-Ulrich who are from a large family. With the Great War and all the problems that brought, the younger children were mostly left to the care of older brothers. However, Anna soon proved to be a natural leader and took charge herself. Although Anna was ten years older than Hans-Ulrich, the pair developed a special bond which was to last for many years. We learn how the siblings deal with the many happenings of that time. Anna wasn’t blessed with children so took a special interest in her nieces and nephews. There is Maria, one of Hans-Ulrich’s daughters, whose life takes a surprising turn. Then we have Lukas, Maria’s brother, and Marcus, their cousin and how the rivalry between the two develops. There is so much more I could say but you need to read this marvellous book yourself to find out what happens. This story takes us through all the turbulent years during and after the second world war. How a rural family, and indeed much of Germany, coped with the many changes. Christoph Fischer brings to life, through his colourful characters, history in such a way that the reader has a better understanding of those times. Another excellent book from the pen of Christoph Fischer that really must be read. Fully deserving of five stars (I would give it six if possible!). I was given a copy of this book by the author in return for a review. This is the third book in the historical series by this author and continue the themes in the previous two, addressing different lives during world war 2 and how people were changed by the politics and religious beliefs at the time. Unlike the previous two this goes up to the modern day and a large amount of time is covered in a short space of time, even more so than before. This means a lot of information is packed into a shor I was given a copy of this book by the author in return for a review. This is the third book in the historical series by this author and continue the themes in the previous two, addressing different lives during world war 2 and how people were changed by the politics and religious beliefs at the time. Unlike the previous two this goes up to the modern day and a large amount of time is covered in a short space of time, even more so than before. This means a lot of information is packed into a short space and on a few occasions makes it a little dry but I still found myself interested in the characters and their lives. Talented Author Christoph Fischer has done it again! This is the second historical fictional novel that I have read and reviewed in this epic Trilogy Series and it did not disappoint. Reading a book by this author is like visiting a cherished, reliable, and trusted friend. The reader knows exactly what to expect and Author Christoph Fischer delivers each and every time. His endearing style of putting pen to paper warms the heart with its charming desire to educate, entertain, and captivate the most discerning readers. He meticulously draws his readers into the story line with a very soft and gentle approach. In "The Black Eagle Inn" we are hypnotically tantalized by the life of Anna Stockman, nee Hinterberger, and her strong and ambitious personality. She is determined to be the heiress to her family's successful restaurant business and adjacent farm. She succeeds in outsmarting her brother by picking away at his self-confidence and then expertly cons her father into choosing her to ensure the legacy of their family business. After taking over, Anna manages to make her mark in the sleepy Bavarian town of Heimkirchen. She seems untouched by the warring country around her but feels its sting nonetheless when her prisoner-of-war husband, Herbert, unexpectedly returns when the war is over. Anna is a far cry from pleased to see him and finds her plans to name an heir to her fortune are being foiled by her now angry and moody husband. With no children of their own, Anna has been diligently keeping an eye open for her successor in this family business and adopts the son of her older brother. Markus, her golden boy is nowhere near as pleasing to her husband as the quick-minded Lukas, son of Han-Ulrich her younger brother. With his innate aptitude for numbers, he is chosen to mind the books. Herbert smells a rat when it comes to Markus' accounting and soon realizes that Anna is covering up for him. Little does Anna know that Herbert it spot on and her nephew is "cooking the books" and leading a secretive double life which has yet to unfold. On the other hand, Lukas who appears to be righteous and loyal has a hidden agenda of his own. The vast cast of characters in this fictional family epic never cease to amaze me with their duplicity, greed, ambition, and thirst for power and wealth...but then there is Anna's niece, Maria. Could she be the breath of fresh air that this feuding family so desperately needs? What an incredible story laced with historical truths to give it both authenticity and believability. Author Christoph Fischer is definitely a gifted raconteur as he spellbindingly pens his captivating plot and mesmerizes his reading audience. Very enjoyable indeed! The Black Eagle Inn is the wonderfully written anthology of the rise and fall of the Hinterberger-Stockmann family dynasty from World War II through the 1970’s. Fischer’s insightful development of the characters makes you feel like you know them personally and gives the story a biographical impression. Quote - “Anna Stockmann, nee Hinterberger, and her husband Herbert owned a huge farm with an equally impressive and renowned restaurant and inn, called The Black Eagle Inn, just outside the city li The Black Eagle Inn is the wonderfully written anthology of the rise and fall of the Hinterberger-Stockmann family dynasty from World War II through the 1970’s. Fischer’s insightful development of the characters makes you feel like you know them personally and gives the story a biographical impression. Quote - “Anna Stockmann, nee Hinterberger, and her husband Herbert owned a huge farm with an equally impressive and renowned restaurant and inn, called The Black Eagle Inn, just outside the city limits of Heimkirchen, a sleepy Bavarian town. Their wealth of earthly possessions had made her the undisputed leader of the wider Hinterberger family and everyone who had joined them through marriage. She was a sly tyrant and a cold and hard business woman, but she had a soft spot for her little brother Hans-Ulrich.” - End of quote. At Hitler’s onset of hostilities in Europe, Anna was at an age where she decided it was time to select and groom a successor to her reign of the family. With no children of her own, she looked to the nephews for candidates. Over time, she had openly shown favoritism to one of Hans-Ulrich’s sons, Lukas. In 1947, however, when her brother Alfones died of consumption and his wife Erica declared her intention to move away, Anna turned her attention to his son Markus, the oldest of the nephews. Markus had done a wonderful job with The Black Eagle Inn and she needed him for that purpose and agreed to adopt him, which activated jealousy and competition among the cousins and the ultimate disintegration of the family. Fischer’s writing talent deftly exposes man’s frailties through the story: anger, greed, theft, and embezzlement—even arson, poisoning, politics, and zealous piety. He tastefully deals with stigmas under the Nazi rule: interracial marriage, homosexuality, and paid foreign workers as the laws and public acceptance change to adjust to the new Germany. I thoroughly enjoyed the book and gained a new perspective with the efforts to rid Germany of the Nazi atrocity mindset, and the efforts that continue today to show the world a Germany to be proud of. There are many more facets to Fischer’s story that space does not permit me to cover, and I strongly encourage you to experience the entire book. I highly recommend it. I received a free copy of the book for a fair and unbiased review. This is the third book in The Three Nations Trilogy. The story is about the Hinterberger family who own and run a farm and restaurant, named The Black Eagle Inn. Anna has been running it with an iron fist for most of her life however not having been blessed with children, she is constantly weighing up her nephews and nieces as potential heirs. It soon is clear that the choice lies between two of her nephews, Markus and Lukas. Unfortunately her best laid plans are ruined by the one she loves most This is the third book in The Three Nations Trilogy. The story is about the Hinterberger family who own and run a farm and restaurant, named The Black Eagle Inn. Anna has been running it with an iron fist for most of her life however not having been blessed with children, she is constantly weighing up her nephews and nieces as potential heirs. It soon is clear that the choice lies between two of her nephews, Markus and Lukas. Unfortunately her best laid plans are ruined by the one she loves most. I actually found this book quite sad. It wasn’t sad in that it made me cry – it didn’t. It was more in that you were sad that so many of the characters were blinded by their greed and that when things fell apart they were too proud to forgive. The story was well written and there was a lot of development in the characters. My attention was caught from the beginning and the outcome of the story was quite unknown to me until the very end – i didn’t find it predictable at all. I found the tone to be a little different compared to the first two books, The Luck of the Weissensteiners and Sebastian. They were more historical fiction whereas this was more of a family saga simply set in the past. There was a lot more actual politics in this book as well compared to the other two. The other two were political in the sense that they involved the war and all the politics surrounding that however this book had a lot of politics to do with area of Germany where the story was based. I actually found in a section towards the end of the book that it was a bit too political – i felt like i was being too heavily persuaded in certain views and opinions. I would definitely recommend this book to those who like family saga and also historical fiction although it’s not technically in that genre. This review is based on a digital ARC provided by the author. Ah. The Black Eagle Inn really is the most beautiful book I've read in a long time. The third of The Three Nations Trilogy (and I can highly recommend the other two in the series, The Luck of the Weissensteiners and Sebstian) it is written just as engagingly, with wonderful characters, fabulous story, and a unique perspective. The Black Eagle Inn is set in Bavaria, at the end of World War II, and deals with a country that has been brought to its knees. How refreshing to read a different take on i Ah. The Black Eagle Inn really is the most beautiful book I've read in a long time. The third of The Three Nations Trilogy (and I can highly recommend the other two in the series, The Luck of the Weissensteiners and Sebstian) it is written just as engagingly, with wonderful characters, fabulous story, and a unique perspective. The Black Eagle Inn is set in Bavaria, at the end of World War II, and deals with a country that has been brought to its knees. How refreshing to read a different take on it all! And how well done the theme of redemption throughout the country and its citizens as a new way of being has to come into play for both country and populace to move on. Christoph Fischer is an excellent writer, and he chose to tell this marvellous story through the medium of a family saga (and boy, is he good at that). So we are introduced to the matriarch, Anna, and her relations, and her wealth - the inn itself, together with restaurant and large farm. Money, family, religion, politics, sexuality, forbidden love, scheming, plotting, hate and scandals engulf Anna, and all of these are mirrored in what is happening within the country too, a very clever thing to do for those readers (myself included) who wouldn't previously have known what life was like in Germany at the time. But it is not heavy-going, quite the opposite, as you are caught up in what is happening to the family - the book is quite the page-turner. And the redemption that I mentioned at the start of the review, of which the author has written so eloquently? Well, if you are willing to change, things will change around you and you can embrace those new things; if you don't, you are sure to be left behind. And I don't think there's much more you can say to make a case for humanity than that. In the rural Bavarian countryside outside of Heimkirchen, the Black Eagle Inn is an old established restaurant and part of a family farming concern. The family conflicts run deep and leave scars, as strong personalities battle to manipulate weaker ones. "Did this also mean that he had intercepted the will completely or merely gained access to the information? What had Herbert written in his will that could not wait and had to remain a secret? She could not bear to think that Markus already knew. If only she could ask him, then she would know whether to try and rescue the dying man over at the farm building or finish him off with some extra ‘medication’." Christoph Fischer demonstrated his talent with the The Luck of the Weissensteiners and Sebastian, the first two volumes of his compelling and excellently written trilogy. With The Black Eagle Inn, Mr. Fischer evolves from talent to genius. From a macro perspective, the book delivers scope and breadth on difficult social, economic, political, and religious issues. From the micro perspective, the work delves into family conflicts and issues. The Black Eagle Inn (The Three Nations Trilogy) by Christoph Fischer is another 5 star book from the author. I love where this story takes place and The Black Eagle Inn, an old restaurant and part of a family farm business is in a sleepy Bavarian town outside of Heimkirchen. Anna Stockmann has fought hard to keep it running through WWII. She is a hard woman and strong and very manipulative. All of the characters in this book are wonderful and fully developed and as this wonderful story moves alon The Black Eagle Inn (The Three Nations Trilogy) by Christoph Fischer is another 5 star book from the author. I love where this story takes place and The Black Eagle Inn, an old restaurant and part of a family farm business is in a sleepy Bavarian town outside of Heimkirchen. Anna Stockmann has fought hard to keep it running through WWII. She is a hard woman and strong and very manipulative. All of the characters in this book are wonderful and fully developed and as this wonderful story moves along I became totally invested in each of their stories and their lives. Christoph Fischer manages to enthrall me in his books, where the culture is both different from any I know and filled with so much rich history. The pages turn themselves and as you get deeper into his very creative and marvelous story there will be many twists and turns to deal with. I would recommend the entire collection of The Three Nations Trilogy to everyone for a great experience with a wonderfully talented author. "The Black Eagle Inn (The Three Nations Trilogy)" by Christoph Fischer is a wonderful historical story. This book is about Germany, its history and people, but it’s really about so much more. The writing is breathtaking and rich. There are so many issues that come to the forefront that the author doesn’t seem to have a problem tackling. I loved all three books and this last one was just as good as the first two. There were so many suspenseful moments that were not at all obvious. I had no idea u "The Black Eagle Inn (The Three Nations Trilogy)" by Christoph Fischer is a wonderful historical story. This book is about Germany, its history and people, but it’s really about so much more. The writing is breathtaking and rich. There are so many issues that come to the forefront that the author doesn’t seem to have a problem tackling. I loved all three books and this last one was just as good as the first two. There were so many suspenseful moments that were not at all obvious. I had no idea until the end what was going to happen. It was a real roller coaster of a ride that captures so much humanity. So much of this story was so realistic that it felt like these events were really happening. You should read these three books for yourself and see what all the fuss is about. There is sheer brilliance throughout these pages. These books moved me and touched me deeply. Tumultuous family dynamics set against a complex historical backdrop! Well, he's done it again! Christoph Fisher has taken us into the inner recesses of his character's minds as they grapple with a culture turned inside out and emptied like a pants' pocket. There is intrigue, betrayal,love and hate...even a servant who poisons her employer. It seems that brutal times exact brutality from some people, but there is always the possibility of reconciliation and redemption. I thoroughly enjoyed this l Tumultuous family dynamics set against a complex historical backdrop! Fischer has such a talent at portraying family dynamics. Having read all three of his books niw, I consider myself a fan. The Black Eagle Inn, again portraying Germany's history, deals with the trials and tribulations of a country family who own a farm and inn. What is different about this book us that Fischer approaches the issues of foreigners in Germany post World War II and the acceptance of homosexuality in Germany. As usual, Fischer approaches these subjects with poise and class. One family tied together in a uniquely connected way as one woman would control the destiny of so many. Anna Stockmann was a forceful, direct and controlling woman who from the start knew how to manipulate her siblings and pit one against he other in order to get the intended results she wanted. Within her family she would create a hierarchy of those youngsters that would advance in her favor, become part of her empire when older or feel the wrath of her tongue and discipline. Compliance was her way and with the help of her brother Hans Ulrich whose family multiplied in size allowing her help on her farm and restaurant, Anna was born to control, lead and take charge. Marrying a naïve, yet caring young woman named Magdalena, Anna was able to manipulate her as well as getting her brother to allow his children to help out on her farm hoping to groom a possible heir. From the moment she was ten years old and even younger she and her brother had a special relationship but it was his children, her nieces and nephews that provided what she needed. Black Eagle Inn and farm owned by her family, the Hinterberger’s became hers when she managed to convince her father that her brother Paul was not up to the job causing him to leave and father’s failing health and no one else in sight, allowed Anna to take over after making sure she eliminated the competition. But, Magdalena had one daughter born in 1940, named Maria that would change things for everyone. While one nephew named Marcus was bold, smart and took on a role in her restaurant and enjoyed people, her other nephew Lukas won her over in a different way. Helping her reconcile the books and correcting her errors in math, they developed an even closer bond than Marcus who we learn had another talent not befitting a young man that Anna preferred to discount. Maria is quite different and a rivalry ensues between her and her cousin. The time period is the Second World War, Hans Ulrich has an administrative job and with his pragmatic attitude and diligence the family seems to be able to flourish but he never seems happy. Black Eagle Inn is the coveted goal of Markus and the farm the others in the family. Heimkirchen seemed unblemished by the war yet Anna Stockmann kept the reigns tight as she kept the business in tact until something happened that would change it all. Learning about the fate of her husband Herbert she was bent on carrying forward until she learned where he was and if he survived the prison camps. But, her family was bold, hard working and each of her nieces and nephews allowed to work on the farm or restaurant were given food as a reward for their toil. But, Markus was smart, cunning and knew how to play Anna and everything he wanted and did would create a rift between him and the rest of the family and a rivalry ensued that would span decades. Lukas was bright, innovative and would help Anna with the books and records until Herbert mysteriously reappears. Within the spectrum of this multi-themed novel we revisit Hans-Ulrich and his wife who are devote churchgoers and who use religion as their main focus and force in life. The Catholic community and Hans-Ulrich seem divorced in many respects from the harsh realties of the war and the politics. Anna watches this as she and her brother also drift apart and Anna takes it upon herself to teach his children the needed skills to survive in the world. The old ways are what sustains him but the war brings out qualities that most families today have but within this family unit, hate, deceit, prejudice, greed, resentment, power and control are just some of the themes author Chistoph Fischer brilliantly explores. Anna Stockmann conniving, cunning and shrewd is equally matched and outmatched by her nephew Markus whom she turned into more than a replica of herself. Lukas, the once brilliant and resourceful young man watches, learns and realizes that although Markus appears to have a secret he does want revealed, a friend that is helping him with his deals but no one really knows the true sources of his of his contacts eventually would turn into another replica of the same. As the war has finally ended Germany suffers many sharp blows and the advent of the different party lines tears the war torn nation apart ever more. Recovering from the shame, having to restructure and trying to find a present that would not mirror its past, Germany forms different party lines and Hans Ulrich is in the center or thick of the Christian Party and his religious values dictates his actions as he learns the truth behind what is happening at the farm, his children are begin subjected to the wrong ways and Markus, Lukas, Otto, Martin and Maria are requested to return home but not without alienating himself from his sister who has done so much for them all. Markus, adopted by Anna remains and the fate of the rest is quite interesting as you will learn. The story is told from the viewpoints of each character given a chapter in order for readers to understand their influence upon the final outcome, the need for their story to be told and to follow in a chronological order the outcome of what happens to the Hinterberger family. As Hans Ulrich rises in the party, Markus finds his solace in working with Anna but when Herbert returns things take on a dramatic change as he becomes rude, boisterous, demanding, abusive and tyrannical also trying to alienate her from Helga, the servant whose loyalty to Anna goes above and beyond the definition of the word. As Herbert becomes enveloped in the family’s business, takes on the books, uses Lukas as his confidant and helper he hopes to learn more about Markus, his adopted son, take control over Anna but little does he suspect that two forces are working in opposition of each other but the final outcome will unite them in quite a different way. With Markus running the Inn and Lukas the farm things seemed okay until Hans Ulrich and his wife demanded the return of their children. With the aid of his children he was happier than ever for a while until something drastically changes and he once again needs the support of his sister to help. Maria the golden child once part of Anna’s life takes on a different role with her father changing her views, ideals and thinking. to support his Christian doctrines. But, the story is so complex that is has much more to offer as Herbert’s fate is sealed in a different way, Markus dallies and meets a young Italian and together they fill ten years of their lives away from the farm and the restaurant but not before he does something that no one will ever forgive. Germany saw great changes from 1940-1976 as the author creates this timeline of events for readers introducing the Italian and Turkish immigrants within the storyline and helping readers to understand how they infiltrated the job market ten years after the new right wing party came into place in Germany. Politics plays a heavy part in this novel and although the war is over Han Ulrich position changes, his attitude is quite staunch and as a result he becomes more like a relic within his own party and hidden within his own mind not able to release his anger, tension or understand the new ways. The years pass and Maria divorces her alliance with her father as she meets a young Turkish man, falls in love and is now no longer considered part of the family. Each character is driven by greed, the need for control, power and money in his/her own way. Holding it steady and all together is Helga. Getting to know more about Marcus the fact that he is gay and how he struggles with his own identity sort of humbles him in the end as the cousins reunite, the old wounds are opened and the end will surprise readers. Families are quite often unique in their own structure and abilities to change, cope and address the changing times as a daughter opposes her father and the political arena is once again in the limelight just what will the outcome be when Hans Ulrich fights for his position, trying to keep what little pride in place and hopefully find some peace within himself. Before the anger and rage win out what will happen next as we see Lukas following in a similar path of destruction. When the end draws near we hear different voices, learn more about Maria’s rise in politics, Hans Ulrich’s decline and the opening of a gay bar that Markus established with the help of a childhood friend and his wife in Munich. When prejudices, fears, old feelings, power, greed, hate and suspicion cloud your eyes, wisdom and goals they win out. How far will you go to win? What is the final fate of the Black Eagle Inn, the farm and what happens when the players meet, the final meal is served and the end result you won’t believe. Read this powerfully compelling novel about the Hinterberger and decide: is it really any different from what you read about in the papers today? One woman who controlled it all. Two men: Markus: Lukas: Two men vying for the attention of one woman. One woman who manipulated everything and one family torn apart by greed. 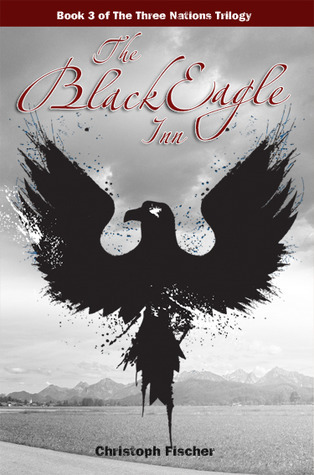 Black Eagle Inn: A must read and so many lessons to be learned: Family loyalty, deceit, lies, deceptions, fear, hate, prejudice, the political scene and what happens when religion overtakes your life and the rest is clouded?